Wayne’s “Tha Carter V” is a stunning album and can be considered one Wayne’s best projects to date. Logic’s album: “Young Sinatra IV” is just another album, because there is nothing too exciting about it. 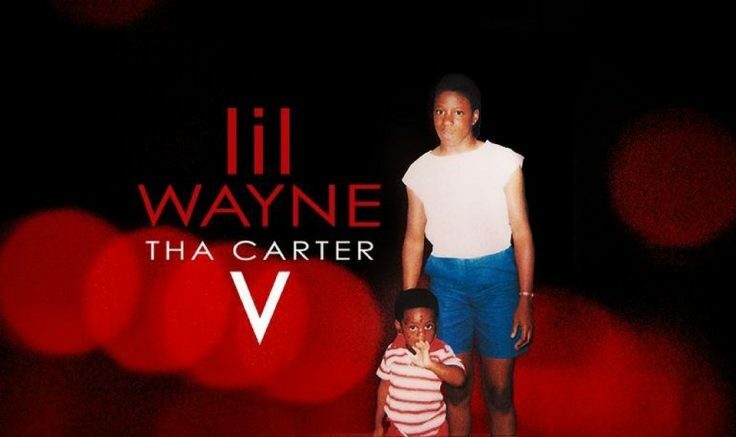 Both albums had plenty of anticipation and hype, but Wayne’s “Tha Carter V” drew in more focus because he hadn’t released an album since 2011. Fans of Wayne won’t be disappointed as the rapper hasn’t lost a step in his five year silence, delivering one of his best projects to date. Logic, on the other hand failed to impress, falling flatter than fans expected him to. Originally planned for released in 2014, “Tha Carter V” was held back by Birdman, co-owner of Cash Money Records, as Wayne wanted to be released from the music label after Birdman violated the contract’s terms and agreements. This is Wayne’s first album to be released under a label other than Cash Money Records, which he signed with in 1995. The album features plenty of well-known artists including Kendrick Lamar, Travis Scott, label mate Nicki Minaj, and Wayne’s daughter, 19 year-old Reginae Carter. The first song, “Don’t Cry,” which features the late rapper XXXTentacion, starts with vocals that are similar to one’s in the song “Jocelyn Flores,” as Wayne raps about his emotions, hard situations throughout his life and his morality. The track ends with Wayne rapping: “triple extension on my afterlife, rest in paradise,” paying homage to his collaborator, X, who was shot in South Florida earlier this year. On the track, Wayne demonstrates his skill with wordplay by using a rhyming scheme through a story that shows his skills. Wayne had an extra five or six years to work on this album and perfect it in the way he wanted to while he was dealing with his lawsuit with Birdman which was settled for $51 million in June. This is a damn-near perfect album by Wayne. One that will be remembered for ages and could possibly be Wayne’s best album to date. “Young Sinatra IV,” (stylized as “YSIV”) is the final installment to Logic’s Young Sinatra series. “YSIV” is Logic’s fourth studio album and makes 2018 the tenth straight year that he has released a project. The first song of the album is Logic thanking his fans. Logic actually put his phone number on Twitter to tell fans to leave a voicemail and he will incorporate them in to his album. It is a very old-school 1990s, New York style track that doesn’t necessarily fit with the album but feels like more of a brag from Logic that he was able to score the Wu-Tang Clan for this album. The ninth track on the album, the title track “YSIV,” is more of a freestyle that Logic had already used to announce the album in a video on Youtube, but just a few things were tweaked in the album version and the freestyle was used as the second verse. Logic uses the song to remember the passing of the Pittsburgh rapper, Mac Miller, who overdosed in early September. Logic says Miller is a big reason why he wanted to rap full-time and to start his Young Sinatra series. 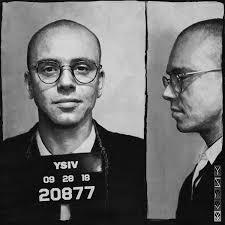 “YSIV” is a fun album, but it’s an album just to put on if you want to have music in the background. Logic has been putting out the same projects for the past three or four years now. “YSIV” could be the worst release of the rapper’s career. A new release every year from Logic isn’t fascinating, nor is it something to gear up for a ton of excitement. The rapper is writing himself into a corner in order to meet the yearly release schedule. Sure this album has great boom-bap kicks to it, and plenty of trap sounds throughout, Logic calls it “the best album he has ever made,” but it’s not; it’s just another Logic album. One thing that differentiates Wayne’s “Tha Carter V” from Logic’s “YSIV” is the effort that is put into the album. Wayne might have had an extra five or six years to put into the album because of the lawsuit, but the added time helped turn it into one of his best records to date. Logic’s album, on the other hand, sounded like there wasn’t enough time or effort put into it. Logic just wanted to meet his yearly album quota. He made another album because he wants to make money or appease his fans, but whichever reason it is, it wasn’t the best decision. 5 Comments on "Lil Wayne’s album stuns, Logic’s flops"
Logic put out a tweet where he flew his fans from across the country to listen to “YSIV.” In that tweet, Logic said “The best album I’ve ever made? The fans seem to think so.” Logic heavily implied that he thinks it is the best album he has ever made. Logic also personally flew these people out to listen to it, so they were in no place to disagree in saying that the album was not good. As a fan of Logic, I was honestly disappointed in the effort he put into this album. I’ve been listening to Logic since 2012 and this is the only album of his that just didn’t do it for me — it fell short of my expectations. His first album, “Under Pressure,” has been his best album so far. I also really like “The Incredible True Story” and how it is a concept album, but “Under Pressure” related to me most on a personal level. I’ve seen Logic twice and would definitely see him again. His “Bobby Tarantino” mixtapes are amazing too. I’ve listened to “YSIV” multiple times and it has disappointed me as a Logic fan and a rap fan. I will agree with Gabe. I just listened to the YSIV album and it has a nice sound but it sounds more like a love letter to hip hop than a groundbreaking album. Whereas Wayne deals with his personal issues Logic talks about them in passing without giving too much depth. It’s a fine album but nothing to be applauded for.